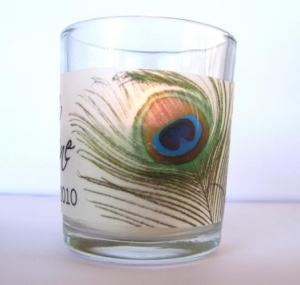 Created just for Diva Entertains - our peacock candles are absolutely stunning. 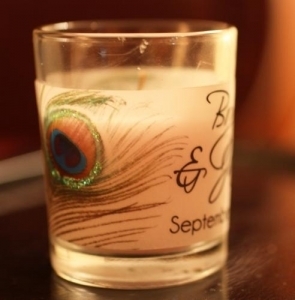 We provide you with the personalized peacock vellum wrappers, an illustrated sheet on how to affix them to glass candle holders (easy, you just need tape or glue dots!) 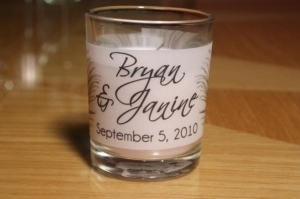 and we even provide you a list of local and online stores to purchase the glass votive holders and candles inexpensively*. Min. 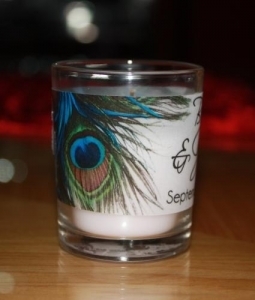 quantity to order is 24 peacock candle vellum wraps. 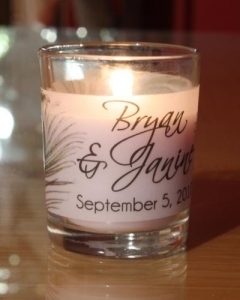 Our beautiful autumn vellum votive wraps fit standard glass votive holders that measure 2 1/2" h x 2" in diameter. CANDLES NOT INCLUDED – you will receive the VELLUM WRAPS ONLY.